The latest download is NOT FOR 1.12 its for 1.12.1. They are not the same Minecraft version. Can you fix that, so if I click on this page for the latest 1.12 download it download the version for it, and not for the next Minecraft version? 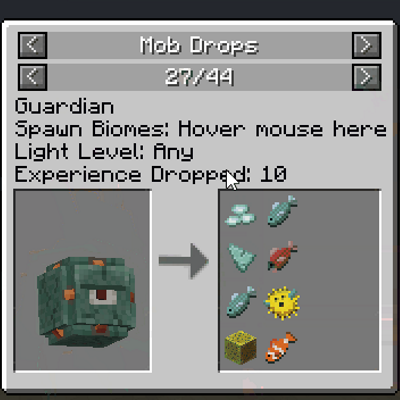 Please fix the mod so that it runs on BOTH 1.12 and 1.12.1. There is no reason for the newer versions to be locked to 1.12.1 only. This response is illogical. Updating to 1.12.1 is not trivial when waiting on certain mods to be able to update first. There literally is no update to be done. 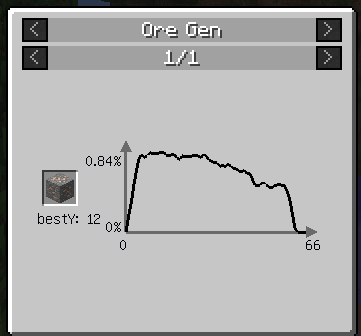 The issue that while the mod DOES work on 1.12, you told it to ignore 1.12. I don't do multiple mc versions, all you have to do is download the one for your version. I know I can support multiple version, I just don't want do it. If you can't update to to 1.12.1 yet because of other mods then wait to update JER. The world isn't going to explode because you aren't updating the moment I release a version. You literally have to change one line in a single file so it works. Is there any benefit in putting this mod on the server (assuming some clients have it and som don't)? I was maily asking because JEI is required on the server for it to have all features working. "No Changelog Provided" ... sigh. Any chance of official Thermal Foundation support or should we just rely on the profile command for that? That would be all up to them to implement it on their end. The support from my end the API and the profile command. Is it possible to add tall grass drops? Like the chances of getting a seed from tall grass. I have a few mods that add seed drops, and I'd love to know the weights. I suggest putting a note in the description that says that the game needs to be restarted after using the profile command for the config to actually work. Other than that, amazing mod! Thank you very much. It is semi safe to download alpha versions, usually they are stable (0.6.5.x is just me updating to JEI 4.4.x as a dep). And yeah I should do that, but I'm so lazy ;p I'd advice looking at my github commit history.